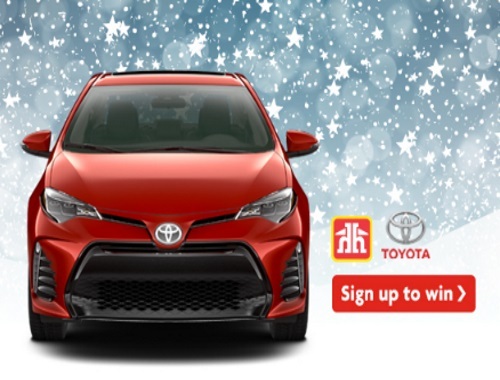 Sign up with Home Hardware to receive promotions, Here’s How articles and videos, and product information, and you could win a 2018 Toyota Corolla!. One lucky entrant will receive a 2018 Toyota Corolla SE CVT with XSE Package, in Barcelona Red, valued at $25,870. Contest closes February 14, 2018.